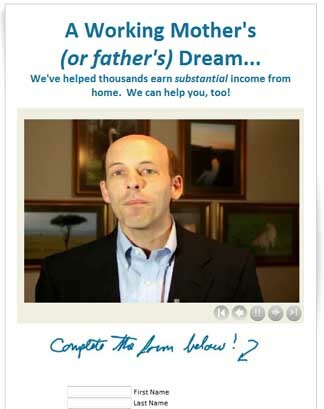 Generate new prospects with your "Work From Home"Lead Capture Site. 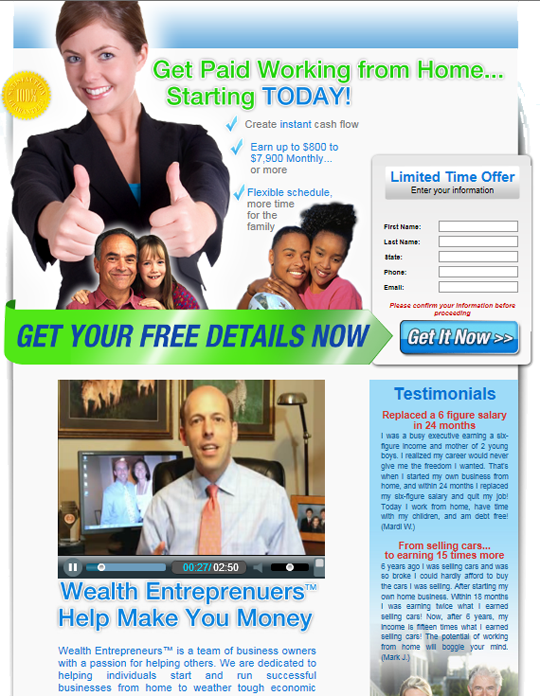 It includes live video and testimonials to excite prospects to learn more. Pre-written emails are programmed into the site to automatically follow up with prospects for you once they visit. As soon as a prospect visits the site and completes the form on the first page, you are immediately notified with a text message to your cell phone (if desired) and an email. Included with your Success System are a number of fully customable lead capture sites. 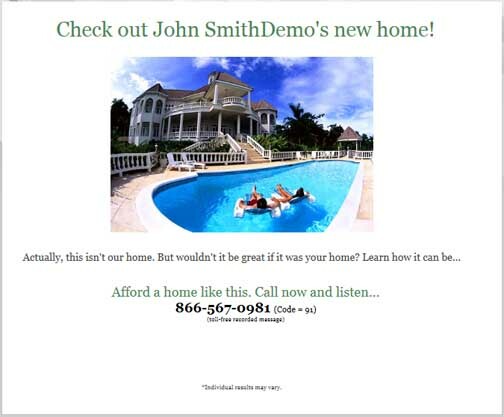 By adding your own photos, video and/or text, you can fully personalize our lead capture sites for the prospects you desire. Check out the example above. 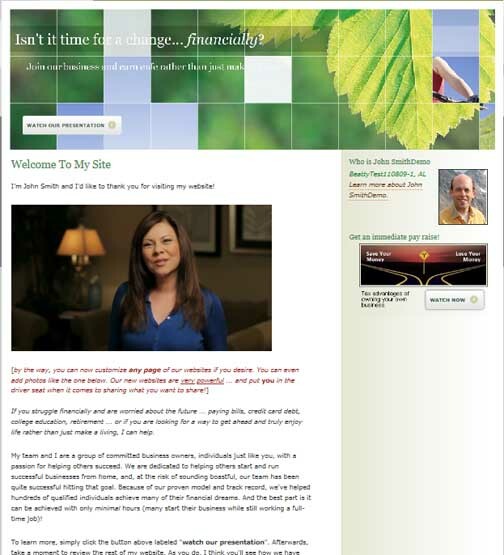 Included with your Success System are a number of fully customable lead capture sites. By adding your own photo and video, you can fully personalize them to yourself, as shown in the example above. This is just another way to brand yourself in the building of your business and make a personal impact with potential prospects, especially if you pursue the social media marketplace. This is another powerful lead capture site for finding upscale, high caliber prospects. 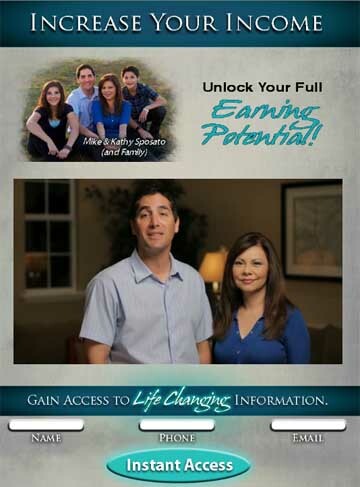 It's a three page site, complete with live video and testimonials to encourage the right prospects to learn more. As they go through the 3 step process you are notified at each step so you can quickly zero in on following up with the most interested prospects first ... those who go through all three steps. You are notified by text and email on each step the prospect completes. 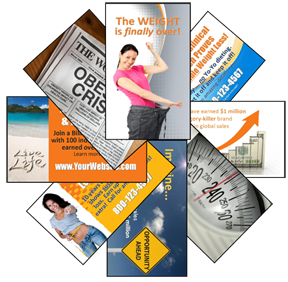 Your Success System also provides a powerful presentation site that gives you the flexibility to customize it to yourself. 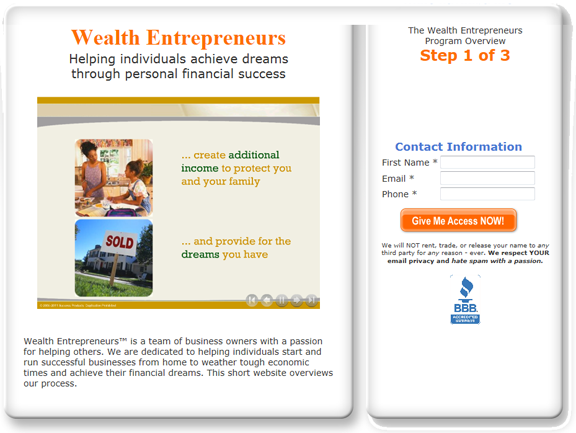 Send prospects to this beautiful site to learn about your business, how to earn money, and who you are. Customize the site with your own videos, photos and personal story. You can customize each page. Each time a prospect visits your site, we notify you by text and email, and you can track every page the prospect views so you know exactly what interests them when you call them back. A big reason many prospects don't sign up in business is they don't feel they can afford the entry cost. But not any more! 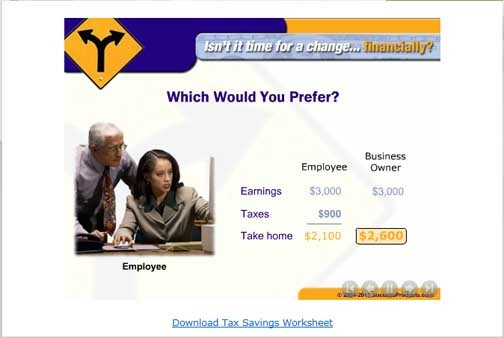 With our proprietary, "Tax Savings of a Home Business" website, you can have prospects watch a powerful 10 video on the amazing tax savings of a home business, showing them how to instantly bring home more money each month than the business costs. This one video will help you recruit more business builders than ever before. This is just several additional sites you get to generate leads. These sites, named "Sizzle Line Sites", direct visitors to call your toll-free Sizzle Line number (included with your Success System) to learn more information. When they do, we capture the Caller ID and you have another prospect to call back! The Sizzle Line sites are fully created and ready to go, but also allow you to completely customize them for your own desires ... making finding an ongoing source of new prospects even easier! 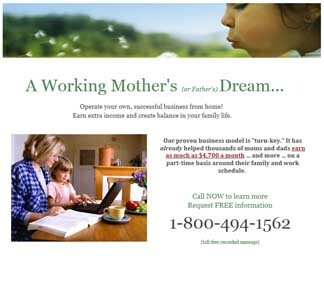 This is just one of many unique websites that come with your Success System. The "email signature" website is a special website that makes it easy to generate leads as simply as including a signature with your everyday emails. The email signature site, and others like it, are fully created and ready to go, but also allow you to completely customize them for your own desires ... making finding an ongoing source of new prospects even easier!